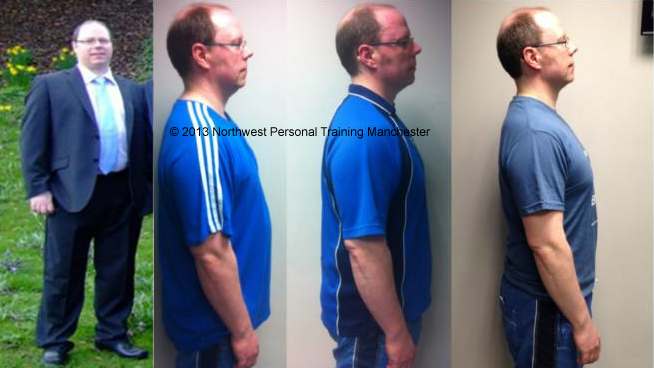 Marco Papaleo is a Personal Trainer and weight loss coach based in a private studio in the centre of Manchester. He has a first class degree in Applied Sports Science from Salford university. My passion and main focus is on helping people lose weight, get fitter and ultimately improve quality of life by helping to make lifestyle decisions that ultimately lead to massive improvement in their health and quality of life. 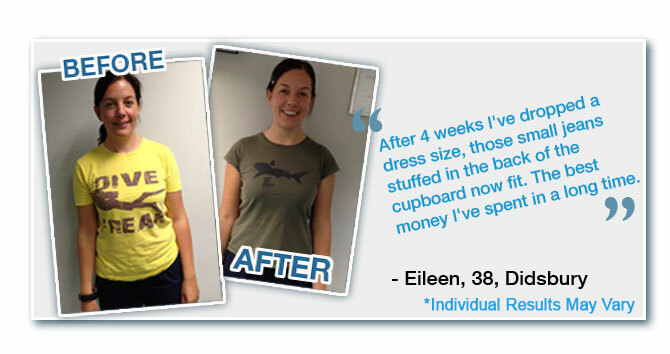 Are you looking for a personal trainer in Manchester who can help you reach your goals in the shortest time possible? Lets be honest here, trainers in Manchester are ten a penny these days. You can go into any gym and for £30 an hour you can get someone to give you the same program they are giving all their other clients and count your reps while checking themselves out in the mirror. It actually gives what we do as bad name and it’s one of the reasons why when you come to us you are also getting a coach rather than just a personal trainer. 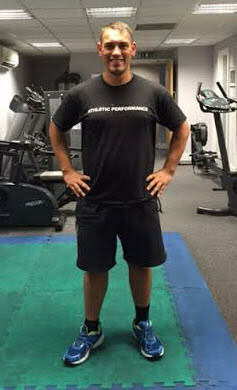 My name is Marco and I have been involved in health and fitness for the last 10 years. I like to see myself as more of a coach than a personal trainer, who’s job is to help navigate you in the direction you want to go in order to ensure that you get where you want to be in the shortest time possible. OK, so I get the irony that we are called Northwest Personal Training, but for the majority of our clients the emphasis is not always on the training aspect although it is always on the personal. In fact the training or exercise aspect can sometimes come way down the pecking order. One of the reasons that the focus has to be on the personal aspect is because I understand that if you decide to take the step of applying to come on board as one of our clients then we know that you have reached out to usfor help. Because of this we will do our utmost to help you get to where you want to be. We will strive to do this in the fastest time possible, regardless of what your goals or struggles are. You will be surprised at how fast you can actually make changes and get results. Typically my personal training clients come to me if they want to lose weight, improve their health or because they have lower back or shoulder problems that need addressing. Each and every one of our clients is an individual person with specific wants, thoughts and feelings and we promise to treat you that way. Most people’s images of personal training is of a guy with a clipboard in a gym pushing clients as hard as they can go. Here at Northwest Personal Training I like to do things a bit different and this is why I get better results than most personal trainers. For me the most important part of what I do is to get my clients from A to B, that is take then to where they want to go and in the fastest time possible. 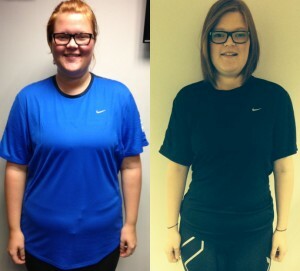 Losing weight, getting fit and healthy is not just about what we do in the gym. It’s much more than that and our services (and results) reflect this. There are so many things that can have an effect on weight loss. Stress, mind-set, nutrition, water intake and even too much exercise can all affect your results. As an example if we take someone who is stressed and push them hard in the gym then that is only going to make your body more stressed. This could potentially slow down your results. to assess the impact that your current lifestyle on where you are right now and why it may be stopping you from getting to where you want to be in the future. This will allow me to put together a unique plan specific to your personal needs. to help us identify your strengths and weaknesses in the gym. It will also identify any areas of concern in terms of your posture that may be causing you issues like lower back or shoulder pain. This can even cause migraines. Using your current fitness levels, injury history and mobility as a starting point this will enable us to ease you into a program at a pace and intensity that suits you. This is where a lot of the magic happens. By asking you the right questions about what you want, we can help you become more motivated. Helping you to set goals that have emotional meaning specifically to you. This is something that you many not get with other personal trainers and is one of the main reasons why we get amazing results with pretty much all of our personal training clients. We take all the information and start to put together a plan that is 100% specific and personal to you. We work out how you want to move forward with your goals in a way that fits in with your life. Contact Me Today to arrange a free initial consultation and see how we can help you achieve the results you want in faster time than you thought possible. (*) Disclaimer – Results May Vary: Causes for being overweight or obese vary from person to person. Whether genetic or environmental, it should be noted that food intake, rates of metabolism and levels of exercise and physical exertion vary from person to person. 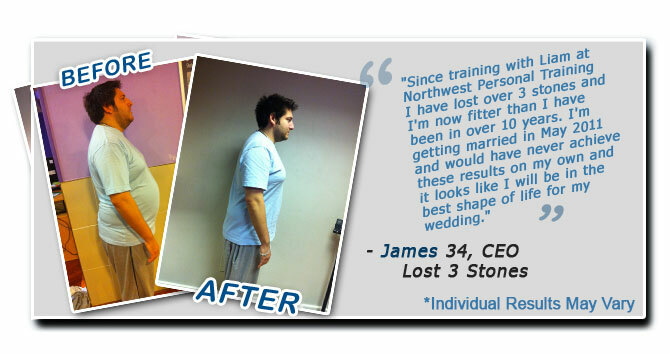 This means weight loss results will also vary from person to person. No individual result should be seen as typical.